NON-BAKE DESSERT NORTH AMERICA U.S.A. When you bring the topic of ice cream up, you can see smile on most people’s faces. Even my daughter lights up the second she hears the word ice cream. Can’t I blame her though ? No, I’m a big fan of ice cream myself. Really.. who doesn’t ? (besides my mom lol, which I still don’t understand why she doesn’t like ice cream or anything sweets). I like different flavor of ice creams like chocolate, strawberry, with or without nuts, etc. 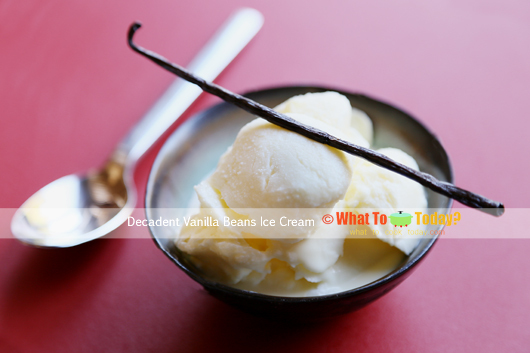 But there’s something about vanilla ice cream that always sounds appealing to me, especially if you make it with real vanilla beans flavor. 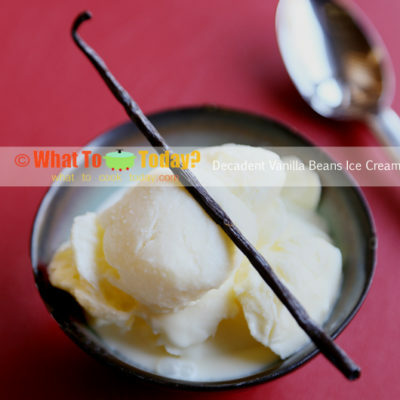 It’s ashamed that I never had real vanilla beans ice cream until recently. But once I did, I get hooked! 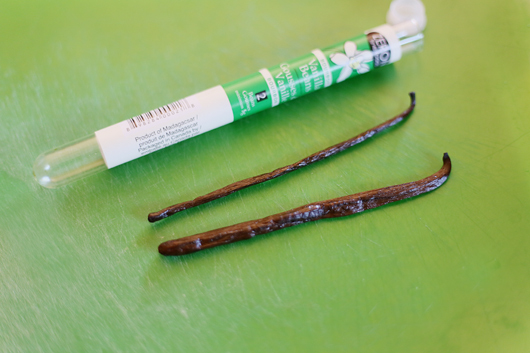 Vanilla beans are real suckers! 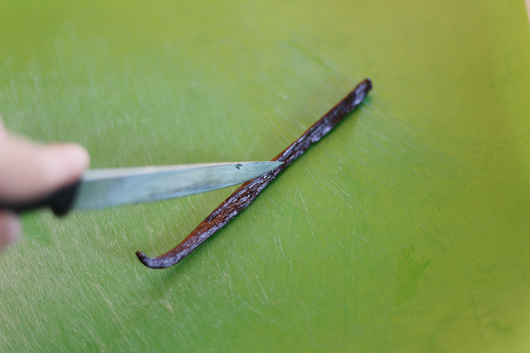 These little beans are packed with flavors and smell so heavenly, yet very clean tasting. It goes so well with anything you want it to as well. 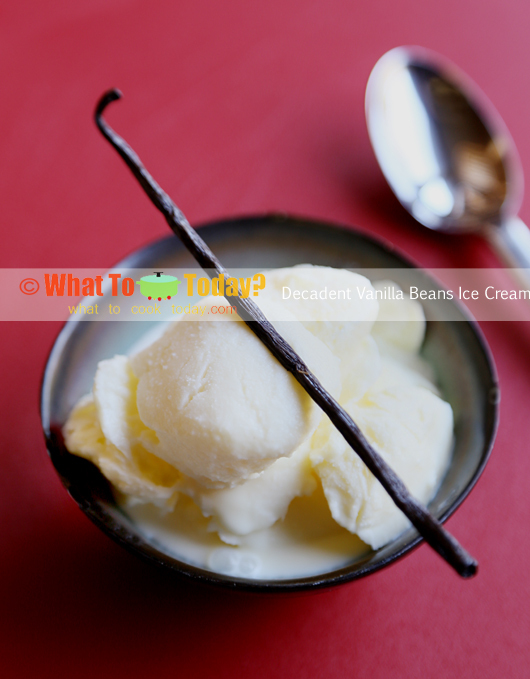 To me, just the vanilla beans ice cream itself is a real treat. 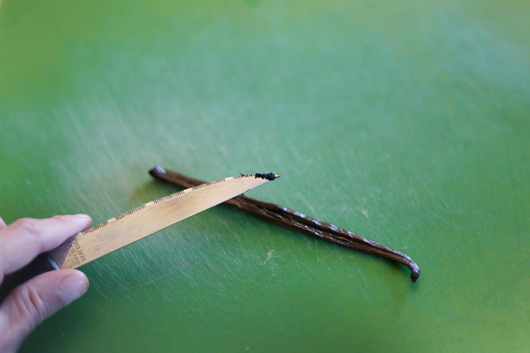 If you want it to go with some warmed brownies, it’s seriously DECADENT !! 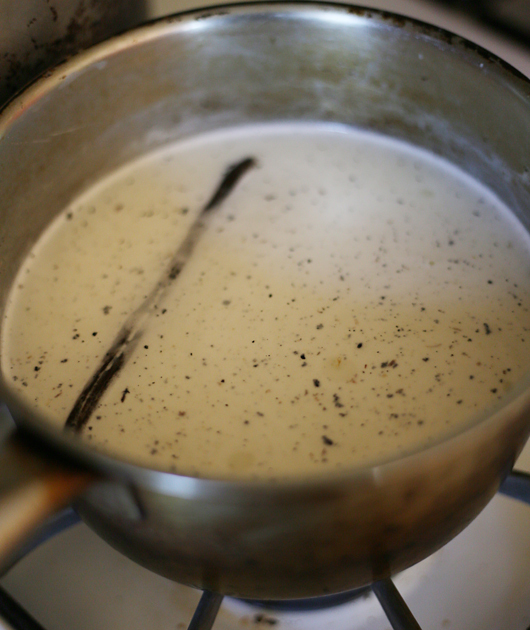 I wish you can see the little black specks of vanilla beans in the photos. Once you scoop the ice cream out to eat, they get soft pretty quickly, and that's normal because we don't have any preservative or other stuff in there, all the good natural stuff 😉 Remember to check your ice cream machine instruction carefully, most of the time the ice cream doesn't firm up properly because the ice cream machine's bowl isn't chilled enough.